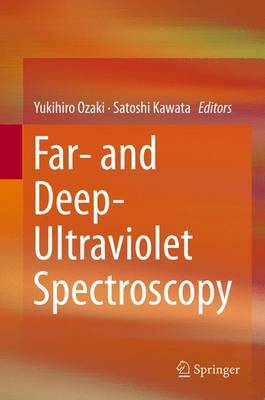 This book is the first comprehensive work to be published on far-ultraviolet (FUV) and deep-ultraviolet (DUV) spectroscopy, subjects of keen interest because new areas of spectroscopy have been born in the FUV and DUV regions. For example, FUV spectroscopy in condensed matter has become possible due to the development of attenuated total reflection/FUV spectroscopy. As other examples, DUV surface-enhanced Raman scattering and DUV tip-enhanced Raman scattering have received great attention. Imaging by DUV spectroscopy has also become an area of interest. More recently, FUV and DUV spectroscopy have shown potential for applications in several fields including industry. All these topics are described in this book. Doctoral students and researchers in universities and national research institutes as well as researchers in various industries will find this volume highly useful.